Empty bush block or want to leave the rat race? Eureka Garages & Sheds can help. Our Miner’s Cottage design has no internal load bearing walls which allows maximum flexibility with respect to creating your own internal floor plan. There is a huge range of available options to further personalise your design. 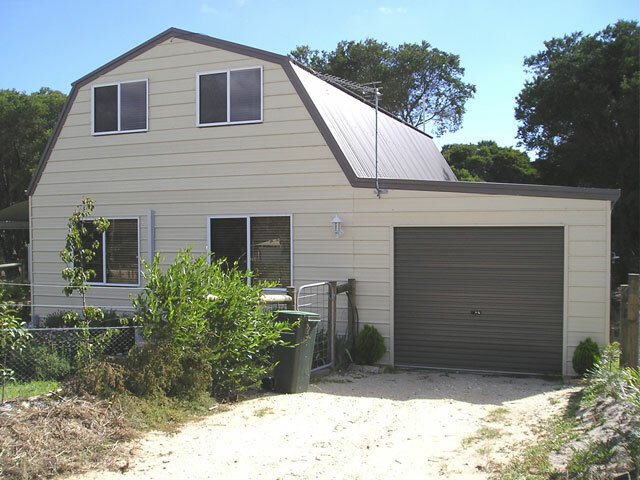 These include external verandahs, balconies, sliding glass doors, windows with or without colonial type bars and internal mezzanine floors should you require more space. Coupled with a large range of external cladding type and colours the available combinations are endless. Flooring systems can be concrete slab on ground or raised metal floor systems making them suitable for use on both flat and sloping land. 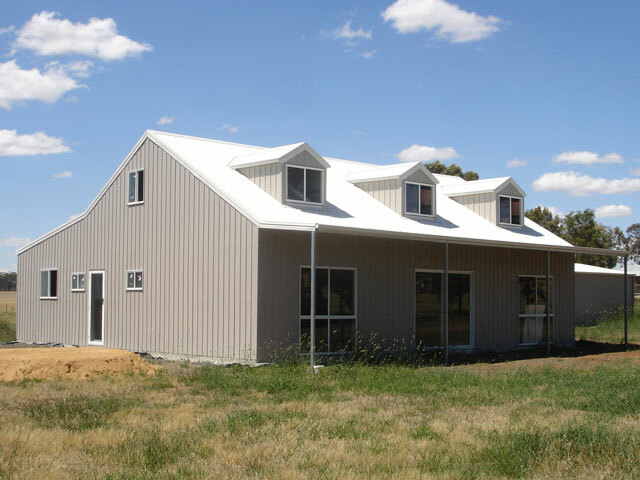 The all-steel frame construction also makes it suitable for use in termite infested areas and in bush fire prone areas. Are you limited by the amount of room you have available to erect your new building but still want ample storage room? 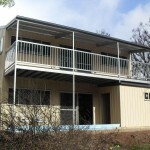 Are you looking for an Alternative Dwelling building style that is both functional and attractive? 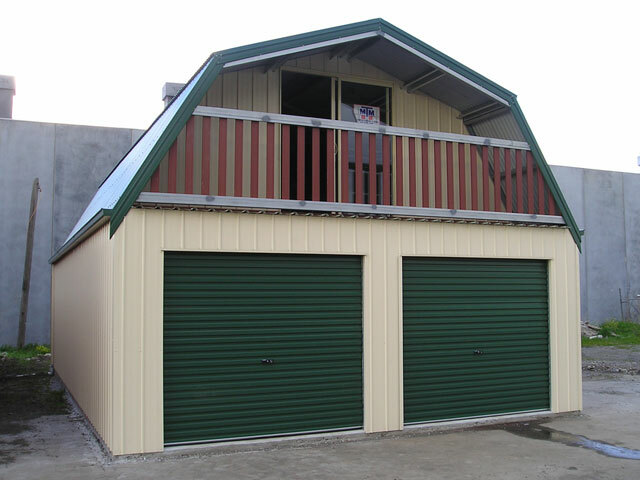 Maybe you need a garage or workshop and an Alternative Dwelling design? The Eureka Lofty and Maxi Lofty designs have all of these design features. Not only are the designs versatile but they look great as well.